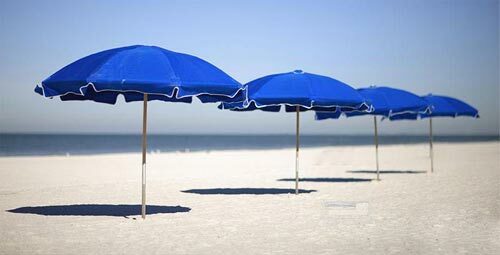 Hilton Clearwater Beach offers us an unforgettable experience with an array of water sport rentals. We will ride over the waves while enjoying a thrilling adventure on our honeymoon in paradise while parasailing or on waverunners, banana boats, paddle boards or kayaks. On our romantic honeymoon at Hilton Clearwater Beach we will indulge in the charming settings of the One King Bed Coast View. Styled with crisp, modern décor, this room offers fine furnishings, granite counter tops, a 32-inch LCD TV, a work desk with high-speed Internet access, and a refrigerator. We will enjoy a touch of luxury with the Hilton Serenity Collection on our king size bed and an elegant bathing experience with Crabtree & Evelyn bath amenities. Outside on our balcony, we will admire stunning views of the surroundings Clearwater neighborhood and limited views of the Gulf of Mexico. 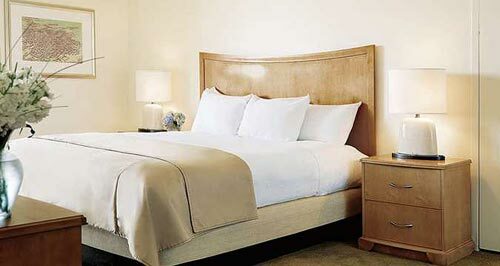 At Hilton Clearwater Beach we will enjoy a stay in the One King Bed Partial Gulf View. Beautifully designed with modern décor, this room offers fine furnishings, granite counter tops, a 32-inch LCD TV, a work desk with high-speed Internet access, and a refrigerator. We will enjoy a touch of luxury with the Hilton Serenity Collection on our king size bed and an elegant bathing experience with Crabtree & Evelyn bath amenities. 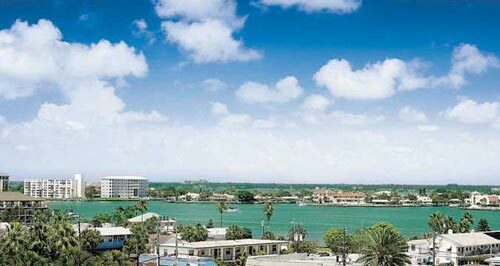 From our private balcony, we will take in the surrounding park and a partial view of the Gulf of Mexico. With your lovely wedding gift, we will stop by Coasters Lounge to relax and unwind. 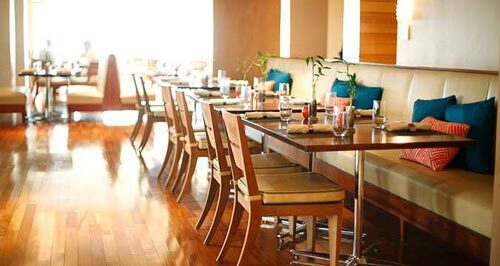 We will enjoy their morning coffee bar, a light lunch, appetizers or a late night snack. Whether we are jut kicking back with our favorite libation or taking in a spectacular sunset with an early dinner, Coasters Lounge is the perfect place to enjoy delightful dining! 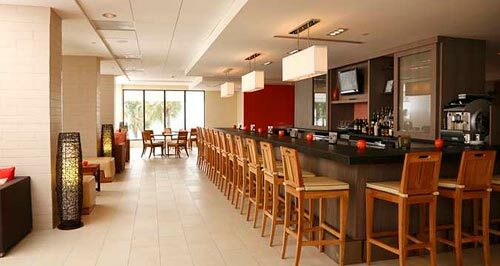 Reflections is a laid-back Clearwater Beach restaurant featuring fresh, modern cuisine. On our romantic honeymoon we will indulge in breakfast, lunch and dinner while taking in the spectacular views of the Gulf of Mexico. 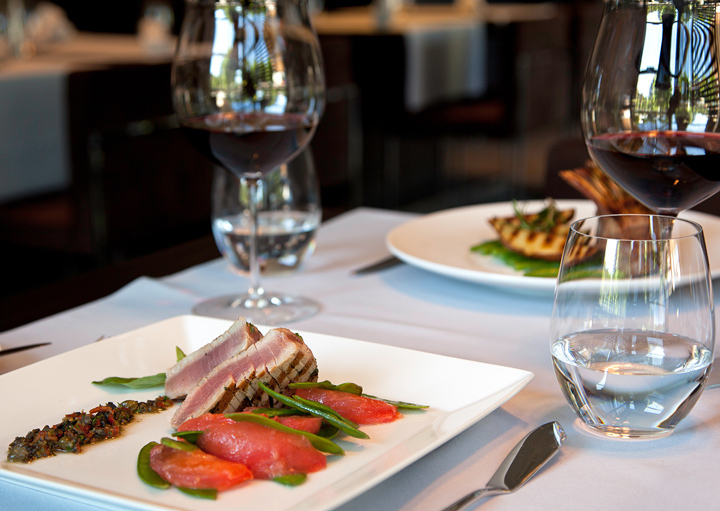 We will enhance our dining experience and choose from their extensive wine menu. Your lovely wedding gift allows us to enjoy a casual atmosphere at the resort’s poolside Sand Bar & Grill. We will take delight in refreshing frozen drinks, enticing specials and a diverse menu while we take in the pool scene and gulf views. This Clearwater Beach restaurant is open for lunch and dinner. The Tiki Bar provides a fun, playful setting where we can enjoy our favorite drinks, light refreshments and delightful dishes. This charming bar is one of the few Clearwater Beach locations where we can receive service directly on the beach for the perfect honeymoon dining experience. 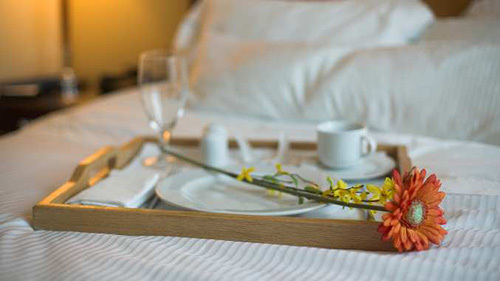 On our romantic honeymoon in Clearwater, we will experience pure luxury with room service for a breakfast in bed, a sumptuous lunch, a private dinner or cocktails for two. 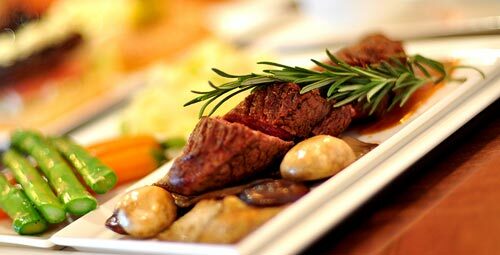 We will choose from a menu featuring appetizers, assorted salads, sandwiches, and entrees with late night selections. In room dining will make our honeymoon that much more memorable from the comfort of our room! We will shop around to bring a piece of paradise home with us. We will browse around the clothing store and gift shop throughout the resort in search of honeymoon keepsakes. From beautiful pieces of artwork, stylish accessories, apparel and jewelry, to locally made products and souvenirs, we will find just what we wanted and cherish these treasures in the many years to come! 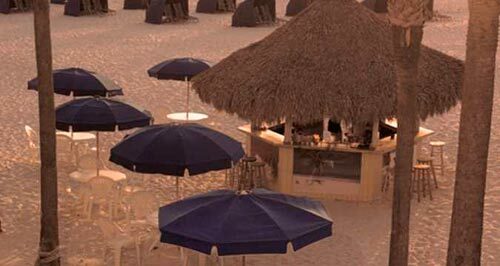 Hilton Clearwater Beach promises us an unforgettable honeymoon in Clearwater Beach, Florida. 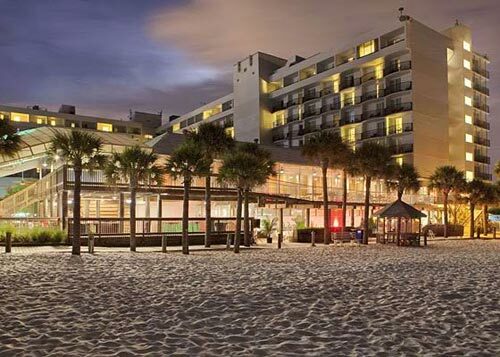 Overlooking the Gulf of Mexico, this beachfront hotel boasts an array of extras and amenities. We will indulge in memorable dining experiences with sun-up to sun-down dining or celebrate with a round of honeymoon drinks at the Tiki Bars or Sand Bar. We will take part in exciting water sports and activities or sit back and watch a spectacular sunset from our balcony with a bottle of our favorite champagne or wine. 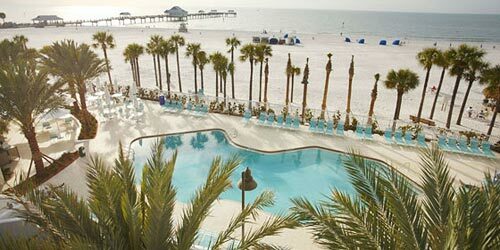 This three-diamond Clearwater Beach hotel invites us to discover paradise and its enchanting charms! A chilled bottle of La Marca Prosecco will be delivered to our suite. We will make a toast to our romantic honeymoon in Clearwater while taking in the sweeping views of the mesmerizing Gulf of Mexico from our balcony. How romantic! A bottle of our favorite wine will be delivered to our room or suite. We will make a toast to our honeymoon while taking in the enchanted views of the pristine sands of Clearwater Beach and the alluring Gulf of Mexico. We will discover romance at its best! Our honeymoon will be enhanced on the white sandy shores of Clearwater Beach where we will enjoy the crystal-blue waters of the Gulf of Mexico and the comfort of an island-inspired cabana. We will take in the tropical splendor of the soothing ocean breezes while enjoying a good meal and a refreshing exotic libation in the privacy of our beach cabana, creating unforgettable honeymoon memories! 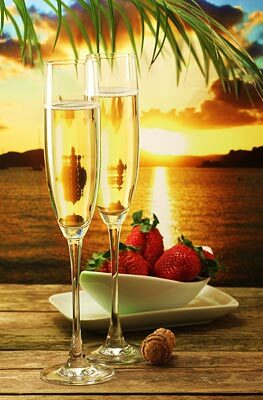 With your lovely wedding gift, we will indulge in the Sunset Champagne Package. To set the mood for a romantic honeymoon evening in paradise, this package includes two chairs, a private cabana and a bottle of champagne so we can toast to our new lives together while witnessing a spectacular sunset! Your lovely wedding gift allows us to indulge in the Sunset Picnic Package. To set the mood for a romantic honeymoon evening in paradise, this package includes two chairs, a private cabana, and a picnic basket with a dinner for two and a bottle of wine so we can toast to our new lives together while witnessing a spectacular sunset!